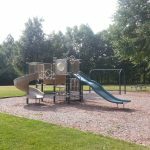 Independence Oaks County Park review, pics, and info. 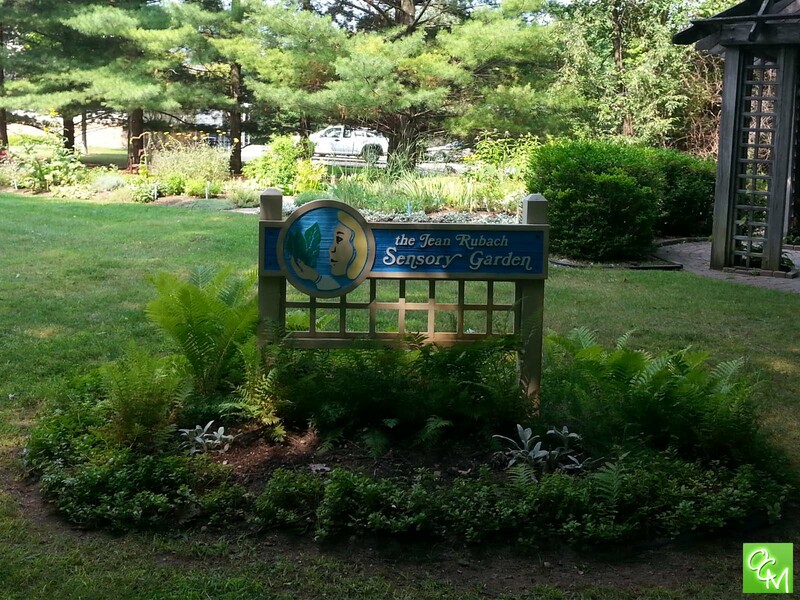 Independence Oaks County Park occupies 1200+ acres off of Sashabaw Road in Clarkson, Michigan. 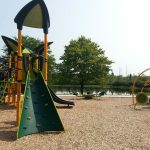 Independence Oaks features a beach, many picnic areas, modern playground equipment, 12 miles of trails (some paved), Wint Nature Center and much more! Independence Oaks reminds me a great deal of Stony Creek Metropark, only the features at Independence Oaks are a bit easier to get to because it isn’t quite so sprawling. 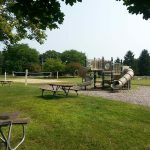 The various picnic areas, trails, and beach is easily accessible from the entrance off of Sashabaw Road just east of DTE Energy Music Theatre. 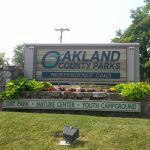 Maintained by Oakland County Parks and Recreation, Independence Oaks Park has over 12 miles of marked trails for hiking and cross-country skiing. The River Loop Trail is 2.5 miles long and is paved for biking and rollerblading. 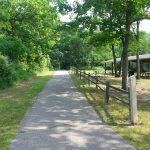 The trails are easily accessed by the numerous picnic area shelter parking lots. 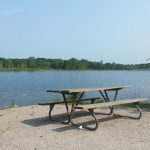 I highly recommend the Trailside picnic area for the easiest access to the paved trails. Paved trails are for bikers and rollerblading but bladers should note that there are some steep (but very scenic) hills that could make for some treacherous blading. 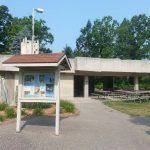 Independence Oaks Park has several picnic shelters available to rent. 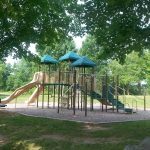 Each picnic area shelter features a stone or covered shelter, sand volleyball court(s), semi-modern playground equipment, horsehoe pits, attached restrooms, and easy access to trails and parking. 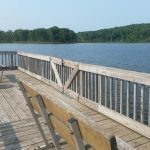 Some shelters even have easy access to the many handicap-accessible fishing piers and docks. Twin Chimneys is the most elegant of the shelters. You can rent Twin Chimneys for outdoor wedding ceremonies. 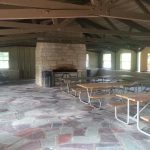 Independence Oaks County Park picnic shelters include: Pine Grove, Lakeview or Water’s Edge, Lake Point, Beach Cove Shelter, Twin Chimneys, Trailside, Morraine Knoll. 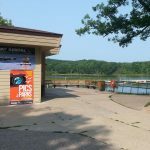 The Lake Point Area has a boat launch for you to explore Crooked Lake on a non-motorized boat. There is a boat rental area for paddle (pedal) boats, row boats, and kayaks. Boat rentals are affordable. 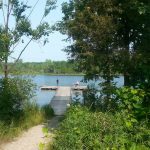 There are several fishing piers to dock your boat throughout the 68 acre Crooked Lake. 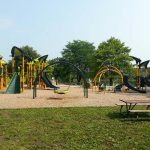 Independence Oaks County Park Beach… Independence Oaks County Park has Hidden Springs Beach for swimming. 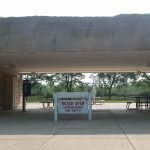 The Independence Oaks beach has clearly marked, roped areas for swimming and are guarded by Oakland County Parks lifeguards. The water reaches depths of 5 feet. Independence Oaks County Park is also home to the Wint Nature Center. 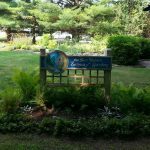 Wint Nature Center is open for walk-in visits Fridays, Saturdays and Sundays. In the winter, Independence Oaks County Park has ice fishing, cross-country skiing, and ice skating. There are warming shelters at some of the picnic areas around Crooked Lake and you can even rent cross-country skis. 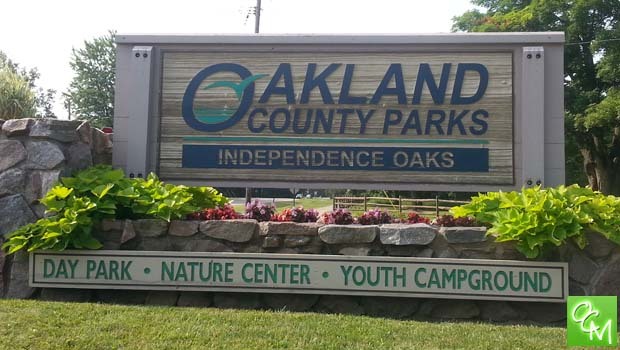 Independence Oaks is home to Oakland County Ski School, Oakland County Parks and Recreation’s annual lessons for newbies to cross-country skiing. See related posts below for reviews. Independence Oaks County Park Hours are from 30 minutes before sunrise to 30 minutes after sunset daily year-round (closed Christmas Day). 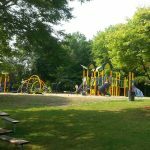 Advanced permits and yearly passes can be purchased at www.OaklandCountyParks.com.